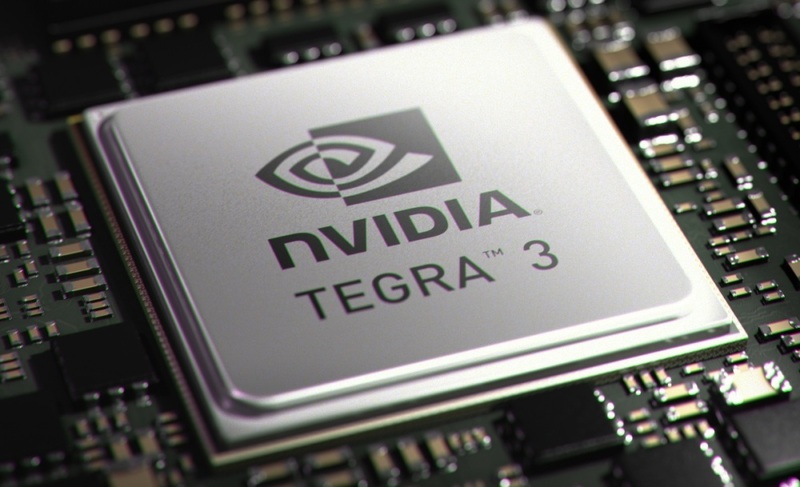 The new chip bests the Tegra 2 in a number of ways. It can support up to 1.3 GHz quad-core computing, meaning it can actually pump out more than 5GHz of power, relative to a single core. For RAM, it’s support doubles from 1GB to 2GB and graphics performance should be three times what it was on the Tegra 2 thanks to a new GPU unit that actually has 12 processor cores. 3D Stereo support, 32MP camera support (up from 12MP), and support for resolutions up to 2048×1536 pixels are all supported. What’s cool is that Nvidia has designed it so that the fifth core is a smaller, low-power processor that runs easy tasks. In a demo, the company shows that when you do something like turn on a new app, all four cores power up quickly to help open it fast and get you going, but when you’re using the app and just fiddling around, the four cores shut down and just the companion core stays on, meaning the whole setup uses a lot less battery life than you’d expect, while still delivering really fast performance when you need it. No additional programming from app developers or Google or anybody is needed for this new technology to work, claims Nvidia. So what does this all mean? Well, we hope it means that we’ll finally begin to see tablets that can perform multitasking that begins to rival desktops and advanced video game graphics and visuals on smartphones as well. If Nvidia has a quad-core processor out, it won’t be long before rival chipmakers out their own projects. If 2011 was the year of dual-core, then 2012 may be the year of the quad-core.